When not massaging backstage, our Celebrity Massage For U therapist, Silvana Marroche is waking before the sun rises to create all-organic, all-vegan products for her line, Forest Nymphs Bath and Body. 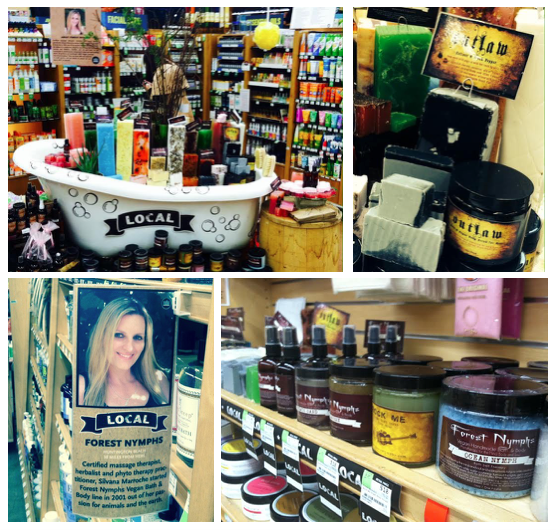 Silvana's passions for bodywork, music, animal and plant life combine and inspired her to create Forest Nymphs Vegan Bath & Body. This amazing line is available online and at the following Whole Foods Market locations in the Los Angeles, Orange County, and San Diego areas: West Hollywood, Long Beach, Torrance, Orange County, Huntington Beach, Newport Beach, Laguna Beach, Tustin Jamboree, Encinitas, La Jolla. Hands That Rock is Hiring! I Need Your Help! My organization, The Hands That Rock needs a few good potential BOD members to handle outreach and marketing. This is a great organization that is helping thousands of children across North America providing funding for music education programs. We want to continue our growth, but we need more good people. Won't you lend your talents and give this a try? The current BOD is scattered about, so we meet via SKYPE, Telephone and Internet! Thanks!